This is a rectangular Fat Jones Stables porcelain sign. This particular Fat Jones Stables sign features a six-team horse drawn carriage in a snowy field. 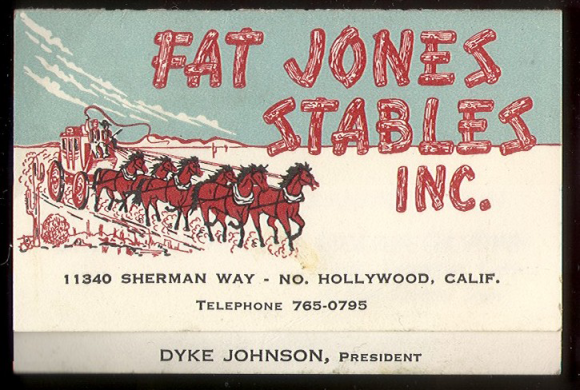 It reads, “Fat Jones Stables Inc., 11340 Sherman Way – No. Hollywood, Calif., Telephone 765-0795, Dyke Johnson, President”.